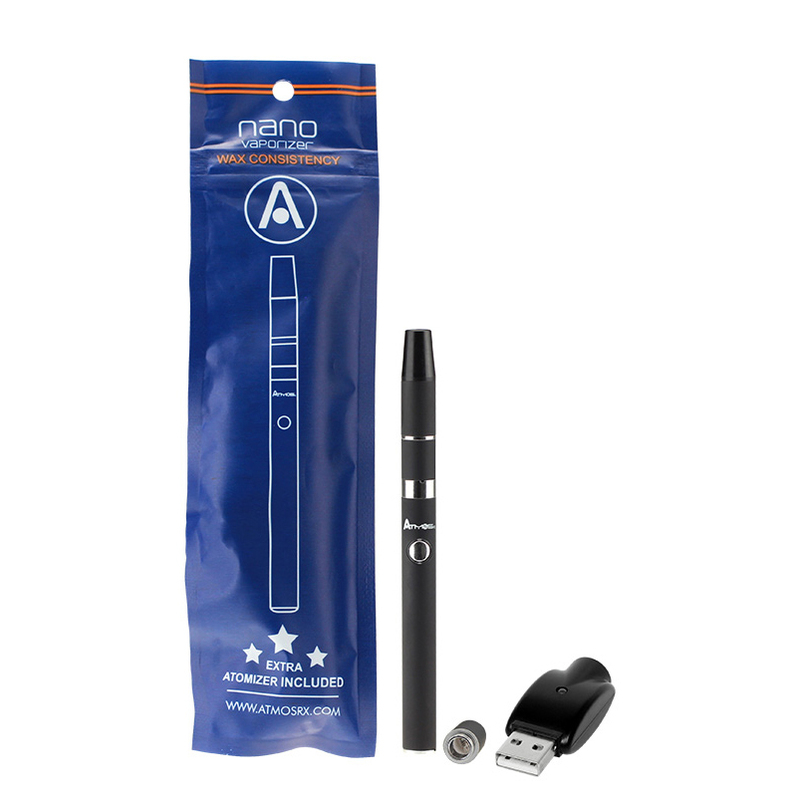 The Nano NBW Kit from AtmosRX combines advanced quartz heating technology with a slim pen style construction and affordable price tag for the ultimate in on the go concentrate vaping. 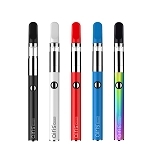 It sports a traditional pen design with removable atomizer chamber. 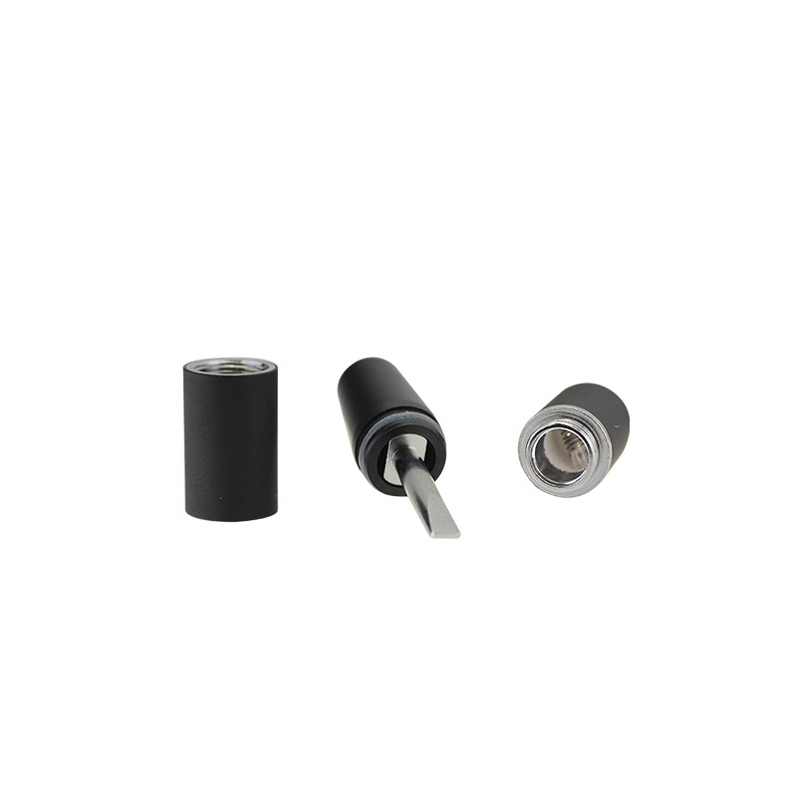 The atomizer itself breaks down into two separate parts: the heating chamber and mouthpiece. Remove the mouthpiece to fill your waxy material in a moment's notice. 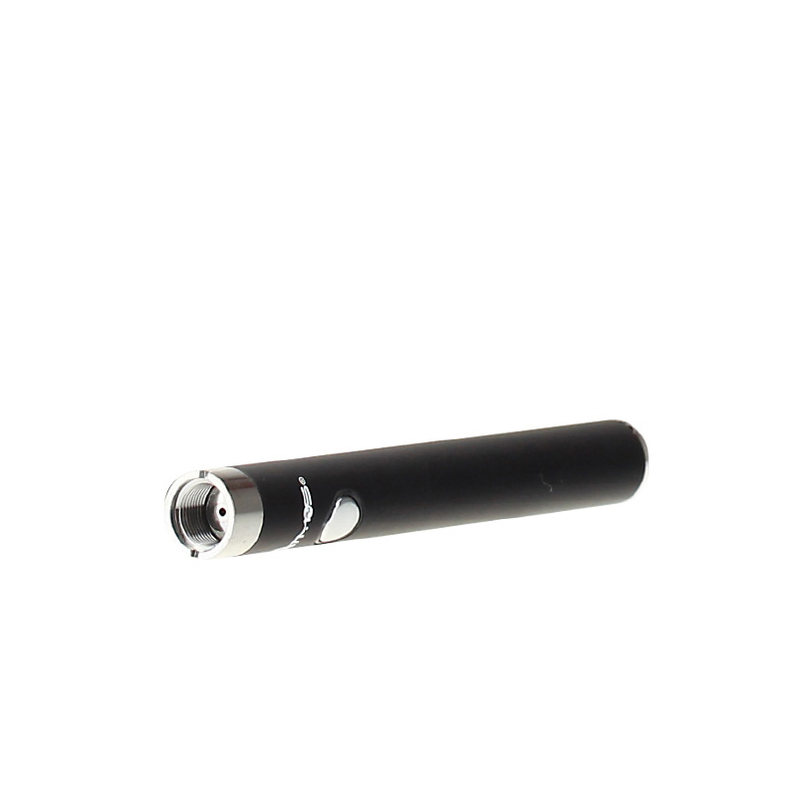 AtmosRX incorporates an innovative stainless steel filling tool that is built into the mouthpiece to make refilling that much easier and faster. You won't ever have to worry about carrying extra tools with you as long as you have your Nano Pen. Inside the Nano NBW's chamber you have a premium quartz rod heating element that is going to hit you with massive on demand vapor at the touch of a button. You wouldn't expect a vaporizer so small to have so much power but you can definitely count on it with this device. Not only is glass quartz going to up your vapor quality, it is also designed to last much longer than other material types. Inside every kit Atmos includes two Nano NBW chambers that together will keep you pumping out fresh clouds for plenty of time to come. 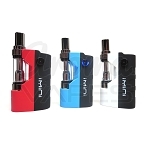 The Nano Vaporizer is powered by a slim manually operated 510 thread battery with 280mAh capacity. It is equipped with an advanced PCB complete with the 5-Click locking feature and AtmosRX includes a cordless USB charger to keep you going all day long no matter where you go. Pick up the Atmos Nano NBW Vaporizer Kit today and experience that absolute best flavor possible on the go anywhere and anytime.